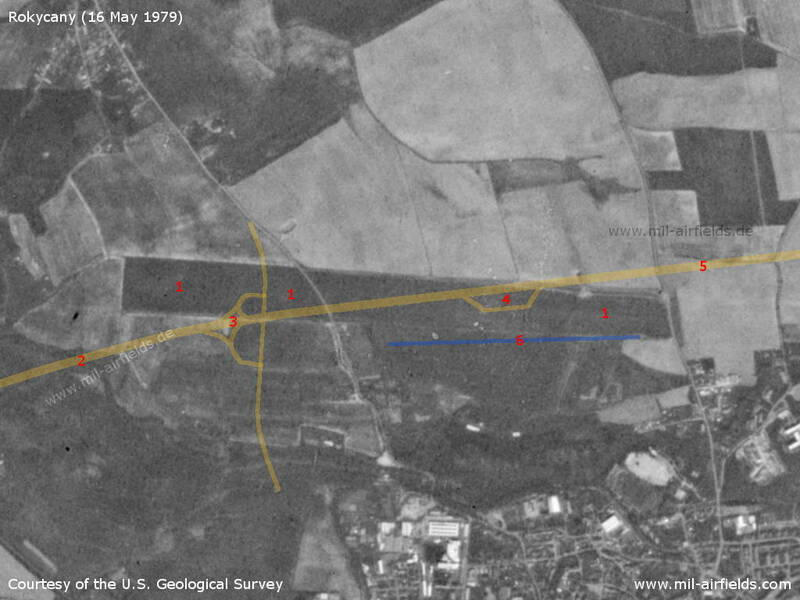 Rokycany Airfield on a US satellite image from 16 May 1979 - For orientation I have added the later built motorway and the present runway. 5 Motorway direction Prague. A source says that a Highway Strip (for operation of aircraft) was planned here. 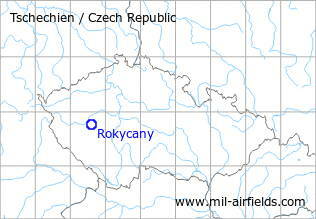 The situation is similar to Vyškov Airfield. Here, too, the runway of a reserve (?) airfield was covered with a motorway and the motorway was prepared for flight operations. The former runway is now partly overbuilt with the motorway. A new runway is in operation south of the motorway.